As we reach the end of International Women’s Month, gender equality advocates all over the world shed a light on the urgent need for equality and gender parity. In addition to advocacy, they celebrated the contributions of phenomenal women to history. While the fight for equality has yielded fruit such as the right to vote, work and own property, studies show that gender parity will only be achieved 200 years from now. Looking at Nigeria, repressive religious and cultural beliefs thrive and contribute to gender inequality. The Nigerian senate’s rejection of the Gender Equality Bill, created to end the inhumane treatment of women, is telling of how wide the gender gap is in the country. Generally, women in urban areas have better opportunities than their rural counterparts due to varying factors such as education and access to basic amenities. Rural women, on the other hand, face challenges resulting from poverty and access to healthcare, despite their documented contributions to the society. During a charity mission to Kabusa village located at Apo Resettlement, Abuja, I met strong women, who, despite being faced with poverty, strive to feed their children by any means necessary. While running their medical vitals, the volunteer doctors discovered many of the mothers were either still teenagers or former teen mothers. A particular teenage girl, not older than 17 stood out while nursing her baby. Upon further conversation with her, I learnt Aisha (redacted), a teenage widow, was made to marry an elder in the community shortly after completing primary school. 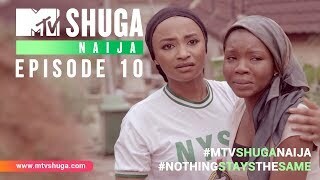 Like Aisha, a significant number of young women dropped out of school to bear the responsibilities of childbearing and homemaking before attaining adulthood. Incidentally, many engaged in farming and petty trading to feed and sustain their children. As a result, the consequences were telling on their respective health as an alarming number were diagnosed with high blood pressure.
? The Child Right Act is yet to be domesticated by 10 Northern states.
? The age for sexual consent is 14 years under The Penal Code applicable in Northern Nigeria. As mentioned above, rural women, such as those in Kabusa, in spite of their economic contributions to their communities are at a higher disadvantage than most especially in Northern Nigeria. Why? Dangerous socio-religious practices are widespread and often more enforced in poorer communities. 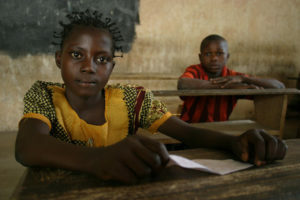 Unfortunately, girls stand a higher risk of premature marriages, especially in northern Nigeria. Its followers purport the harmful belief of ‘preserving female sexuality’ and preventing promiscuity through forced marriages of teenage girls. As we celebrate the international women's day. Let's not forget to correct the societal flaws. 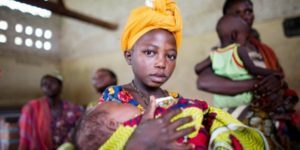 "Girl child marriage is ongoing in Northern Nigeria, Pedophilia on the increase in the country". Girls are raised not as individuals but potential wives and mothers and are hence, pulled out of school as early as 12 years. Coupled with poverty and lack of health and reproductive care, they are eventually exposed to domestic violence, fatal mortality rates and diseases. The legal marriage age is 18 years in 23 states of the country, however, it takes an educated woman to acknowledge this as a legal right. Eradicating harmful practices such as these can be achieved through education and enforcement of progressive laws. Educating women is no longer a luxury; it is key to saving lives through financial empowerment and self care. Financially empowered women will, in-turn stabilise the society through significant economic contributions and making of informed decisions on childbearing and marriage. This is a "heavy" and telling article. This part especially hit me right in the chest - "The legal marriage age is 18 years in 23 states of the country, however, it takes an educated woman to acknowledge this as a legal right." It is said that when you educate a woman, you educate a generation, this article puts it in perspective.